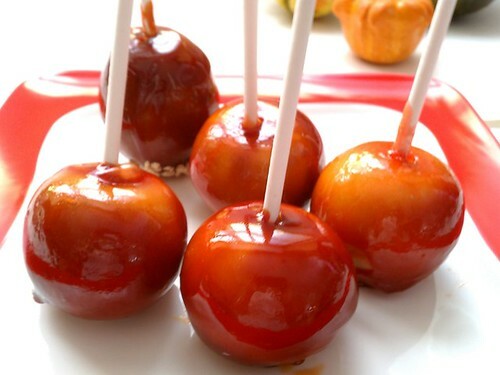 Toffee Apples and Pears ~ I Can Do That! 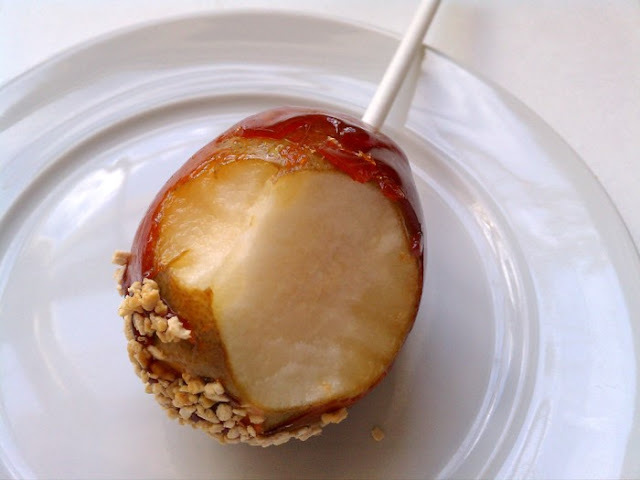 Wash apples and dry thoroughly, remove stem and push in the candy pop stick at the top end. Set aside. In a medium saucepan, heat sugar, water, cream of tartar, and food dye until sugar is dissolved. Clip a candy thermometer and boil rapidly to hard crack. Turn heat off and dip each apple, tipping the pan to coat completely. Place on a sheet pan lined with parchment paper and leave for a few minutes to harden. I would love to try this. Looks different. I don't believe you made toffee apples. It looks professional.